Is She OP? - General Discussion - Mobile Legends: Bang Bang - Powered by Discuz! Mobile Legends: Bang Bang»Forum › Here I come › General Discussion › Is She OP? She's been awhile now but there's not much feedback regarding new heroes being OP at some point... Or is it just me? She is very strong in early game, not sooo OP. She doesn't have huge massive damage, she has damage only for single target. Also she doesn't have macro control. 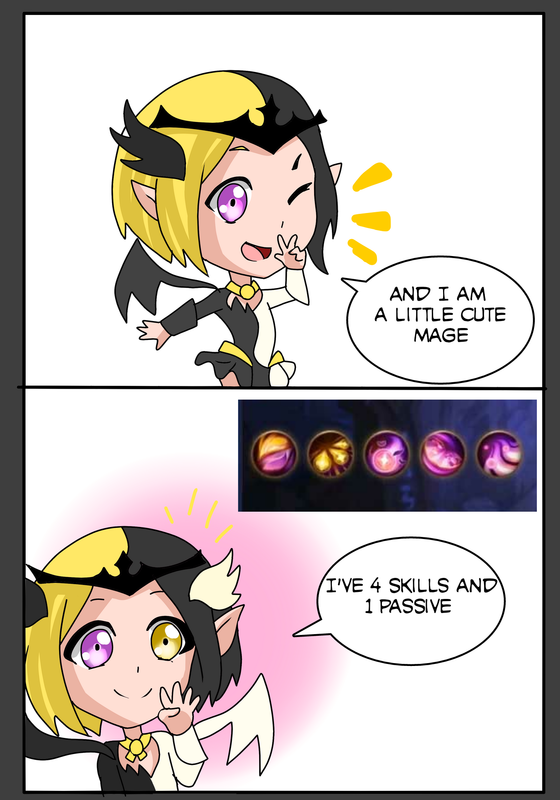 She could farm jungle only from 4th level. btw i won all of the first twenty games on lunox(i did savage in 5th game). You could improvise on her. I love it. And she is not soo easy for learning, she is not one-button karina mage. To this day i still think she's a Marksman-style Mage. When somone pick her on the team, you should pick other mage instead of picking Marksman. You don't need Marksman in the team when you already have her, or else it will be like having 2 Marksman. Thats why she is not considered OP, because she can't do what other Mage can, but she does have massive auto-aimed damage, with decent range too. She can do the 'Marksman job' very well. She even have the credibility to go for mid lane. 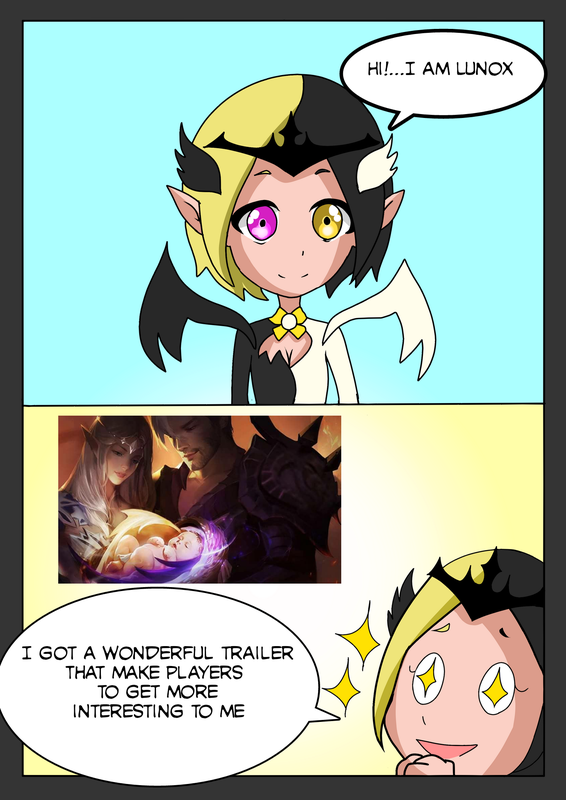 Lunox is pretty balanced, she can carry the game if used right but it still comes down to skill. Any hero can be OP in the right hands. I'm usually happy when there's a non-OP hero but she is just a waste of space. She should have never been released. Just watch MPL 2 next week to see how good or OP she is in tournament. 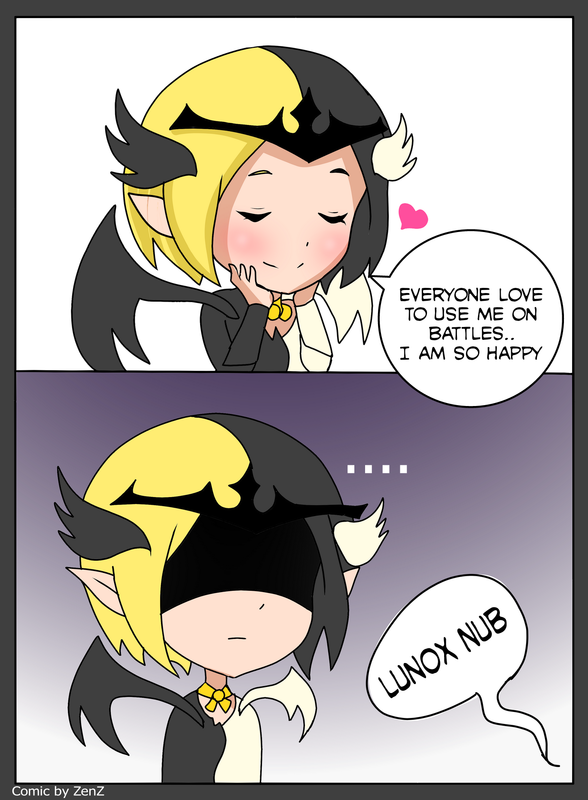 That my Lunox. She is fine to me but if she fight against Burst, she surely weak if you are chaos state first and you was ganked or ambushed by enemy. She's really strong with the exception of single-target and low base health. A combination of Marksman-like Abilities + Support Mage Abilities. no the only op hero is fanny she need to be nerfed or removed from the game. this is a moba game which should not have any hero that is too strong or she will be mostly picked. not to mention she has that tornado bug which is unfixed tilll this day. Also selena's stun is too long she kills people too easily. this is also unfair to the gaming community.